It’s only about a half-hour’s drive through high desert country from Durango to Mesa Verde National Park, so it is mid-morning when we arrive at the gate. 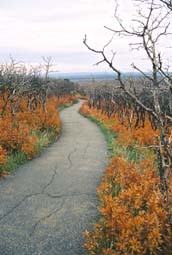 We quickly choose a campsite and then head farther into the park for lunch at the Far View restaurant, then to the nearby visitor center for maps and information. The large namesake mesa of the park is shaped rather like an outstretched human hand when viewed from above, with palm facing downward and fingers splayed out. A park road loops out onto several of these ‘fingers’ of high, flat ground, and offers views down into the narrow canyons between them. It is on these mesa tops that the early Anasazi settlers–now referred to as the Ancestral Puebloans– built their homes and raised their crops of corn, beans, and squash. 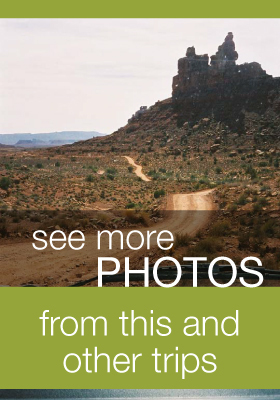 A drive along the Mesa Top Loop Road offers ample opportunity to visit several partially excavated Puebloan dwelling sites atop the mesa. Conveniently arranged in chronological order as they developed through time, the sites represent different eras in domestic development of these ancestors to today’s Pueblo Indians. Around a.d. 750, they began settling into small villages, the Spanish word for which is “pueblo”. Construction techniques of these village houses evolved over time, using the same fundamental materials—wood poles, natural or cut stone, adobe, and even plaster—but in a changing variety of methods. 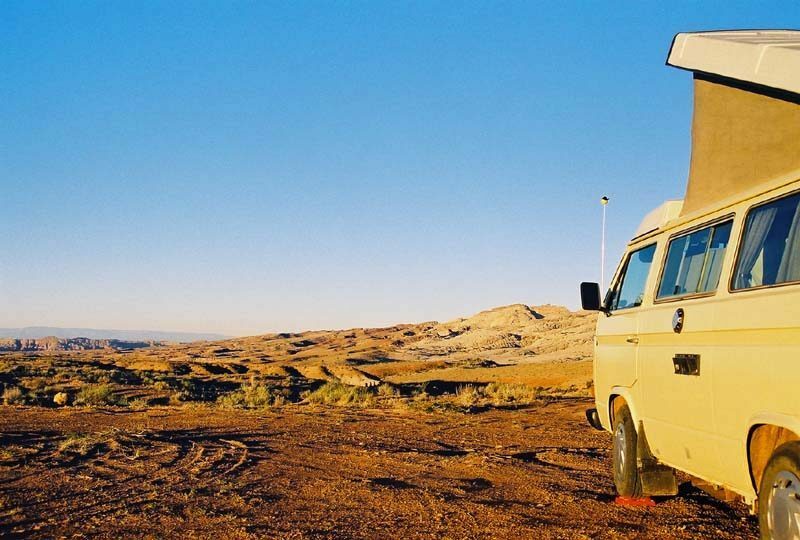 Upon returning to camp, we meet a couple of women travelling in their 1987 Vanagon Westfalia, in the midst of a 9-month roadtrip. 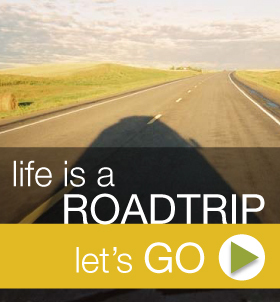 After the requisite greetings and chatter about our vans and our trips, they ask if our van has a name. We admit that she does not, but promise to start thinking about it. Until recently, anthropologists have believed that prior to the introduction of horses by Spanish explorers, early Anasazi cliff-dwellers were limited to foot travel for hunting, trading, and even major societal migrations. But the recent discovery of a series of cave paintings depicting a far more elegant and convenient mode of transport indicates that one lesser-known splinter group of these ancient people was far more advanced and mobile than previously thought. Scientists are referring to this obscure cult, who evidently travelled in great comfort and style, as the Vanasazi. The old gal has given us a bit of mechanical trouble so far on this trip, requiring an exhausting and smoky push-start nearly every morning, similar to the morning in Great Sand Dunes NM, and forever threatening to leave us stranded. Though still appreciative of her comfort and convenience, we have grown increasingly frustrated with her unpredictable behavior. Entry to Balcony House requires us to descend a 100’-long staircase into the canyon to a place just below the dwelling, then climb a 32’ ladder to the first balcony. Stooping down to crawl on hands and knees through a narrow tunnel, we finally stand up in the main balcony. The view from here is breathtaking, with a beautiful vista of the canyon spread out below us. What now appears as only a series of half-fallen walls and small piles of rubble was once a densely inhabited and thriving village, probably resembling a modern apartment complex. The small doorways in the cliff dwellings were likely built that way to provide protection from the cold winds which are common for half the year, and were probably covered with 1”-thick sandstone slabs. During the summer months, the inhabitants perhaps placed willow mats, skins, or hides over the doorways. It is not known for certain why the Puebloans built these cliff dwellings; perhaps for safety from enemies, perhaps to secure the dwindling water sources found at the cliffside springs. Perhaps it was a religious belief which compelled them to seek a home closer to the folds of the earth, from which they believe all humankind sprang. Perhaps the most evocative feature of these villages was the “kiva”, an underground ceremonial chamber which served as the religious center or shrine of each family unit. 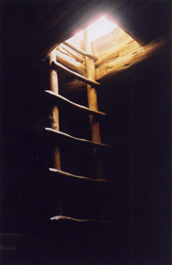 This circular subterranean room was covered over with timbers and adobe paving, and accessed via a ladder. This doorway also served as the chimney for the fire which burned within. 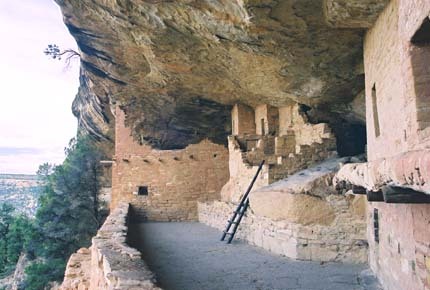 The native inhabitants of Mesa Verde continued to build these kivas, and even developed more elaborate variations, when they left the mesa tops and began building their homes in the many natural stone alcoves in the canyon walls below, around a.d. 1200. Within three generations, a severe drought struck the region, drying up springs, decimating crops, and lasting over 20 years. 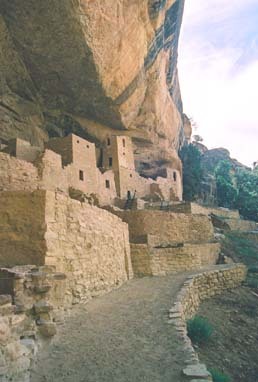 People began abandoning one site after another, migrating to better lands to the southeast, and by a.d. 1300 all 600 cliff dwellings stood empty and silent, bearing mute testimony to the lives of those who once planted and hunted, danced and worshipped, lived and died here.